In Buzaya County, Kamuli district, there is Balimi Network for the Developing Enterprises in Rural Agriculture, BANDERA 2000, a land innovative agricultural community. Their goal is to empower farmers to harvest rain water, practice conservation agriculture and sustainable land management. This group, formed over ten years back, comprises of more than 2500 community members. This project is found in Nalimawa village, Kamuli district, approximately 80 Kilometres, East of Uganda’s capital, Kampala. Mrs Betty Tigawalana, 52, is a member of BANDERA 2000. She is one of the 12 farmers who have embraced rainwater harvesting through this project. The members learnt to harvest water in these underground tanks, after an exchange visit to other farmers in the country. The water has fetched dividends for her and the neighbors. 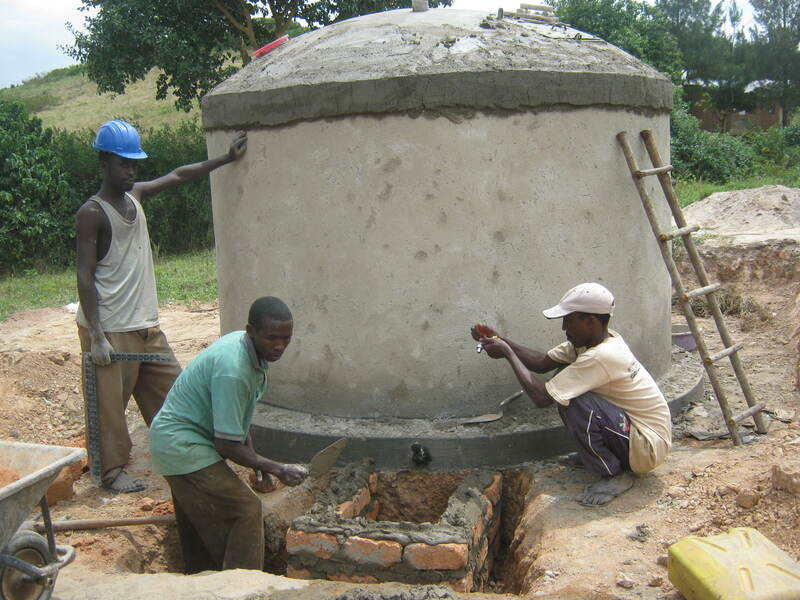 “I use the water from this underground water tank for domestic purposes. 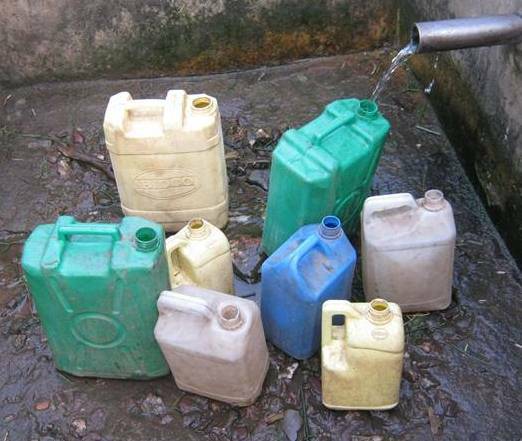 I also share the water with my neighbors during the dry season,” she says as she adjusts her blue wrapper around her waist. To harvest the rainwater from her iron-roofed house, Tigawalana uses a 15,000 litre underground water tank. The water tank has saved Tigawalana’s family from walking long distances to the nearest water point. Daily tasks for her and the family have now been made easier. “I thank SLM (Sustainable Land Management). This water also helps me in irrigating my crops. I give the same water to my cows. I then use the cow dung for my biogas project,” she adds while smiling in consonance with the sun. The satisfaction, with which her kitchen garden of a variety of vegetables dances, is a reassuring reflection of Tigawalana’s family. According to United Nations Convention to Combat Desertification (UNCCD), desertification, land degradation and drought affect more than two billion people. UNCCD adds that the situation might worsen due to the unsustainable use of soil and water under present scenarios of climate change. Thank God Mrs Tigawalana, like other members of BANDERA 2000, are trying to counter this through sustainable land and water management. A few meters away in Tigawalana’s backyard, there is also rainwater which has been harvested in an open pit. This water is used by farmers in this group to irrigate crops using overhead spraying and drip irrigation, on this piece of land used for training. The piece of land was donated by Betty’s husband, Mr James Tigawalana. The chairperson of BANDERA 2000 Mr George Mpaata explains that during drip irrigation, “the water goes directly to the plant”, thereby minimising water wastage. After which, Mpaata says, the garden is mulched to reduce water evaporating from the soil. This, he adds is replicated in other farmers’ gardens who can afford this technology. Apart from irrigating crops, other indirect benefits of such water tanks include, reducing domestic violence, early pregnancies and the time spent waiting for water at the few boreholes in the area. David Ngadu, 40, a father of four also owns such a tank in his home. Ngadu gloriously talks about how this facility has saved them trekking two kilometers to the nearest borehole. That borehole serves 200 homesteads. Ngadu says since the borehole “attracts different people”, it exposes their daughters to early pregnancies. He adds that such tanks have also helped keep their wives at home, instead of going to the borehole to fall prey to other men, thereby reducing domestic violence. 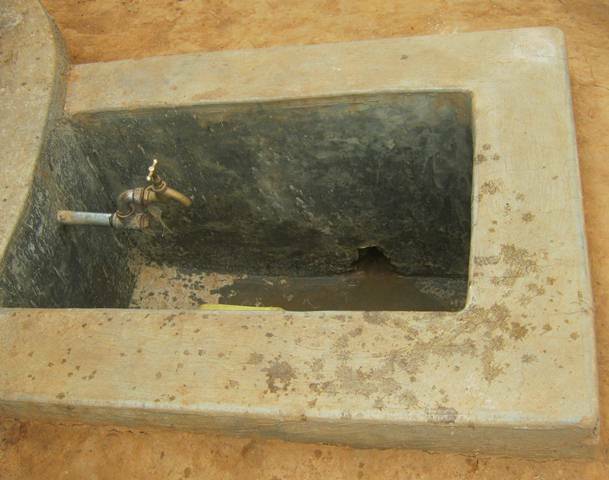 Ali Kasadha, 48 a father of eight from Kisozi Sub County also had a water tank constructed at his home. Kasadha lives near a lake, but he does not want his family members to fetch the lake water because of the dangers associated with it. This husband of two wives is all praises for this underground water tank given its cycle of benefits. Kasadha says since his land had degraded, he uses the water from the tank to irrigate his crops and give it to his cows. In return, he uses the cow dung to fertilize his land to give him better yields. An expert from the National Agricultural Research Organisation—NARO in Kawanda, Dr Onesmus Semalulu describes this as a good example of sustainable land management. However, such technologies come with their own challenges like high construction costs, according to Dr Semalulu. “The initial investment cost is high, but I think it is worthwhile. Then this pit is open. It is risky to children. They can harbor reptiles. But overall, the benefits outweigh the risks,” he observes. Dr Semalulu says that a farmer can start by digging trenches to trap running rainwater which does not cost a lot.